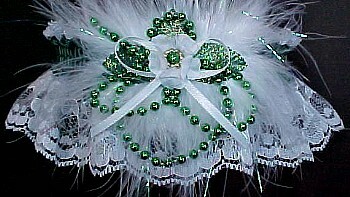 Garter with Colored Pearls on white lace for Prom Bridal Wedding Fashion. 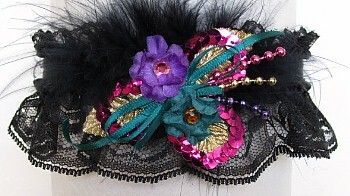 Take the Scenic Route. 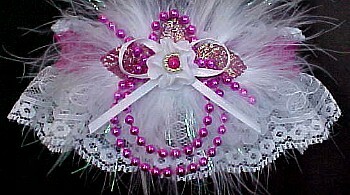 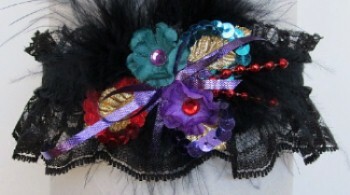 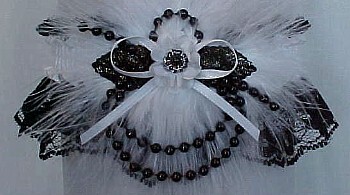 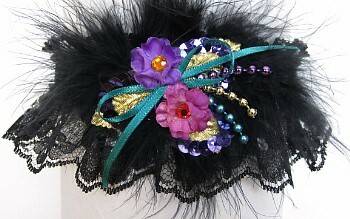 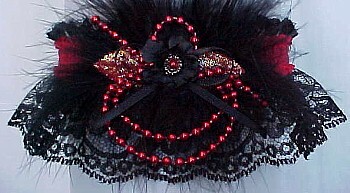 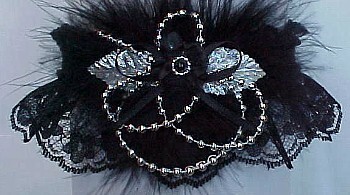 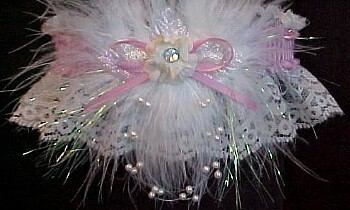 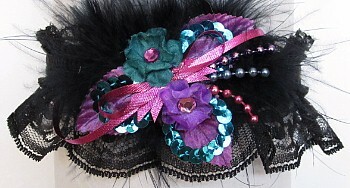 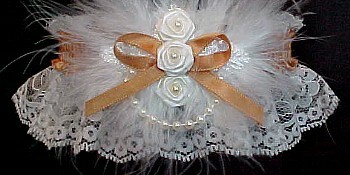 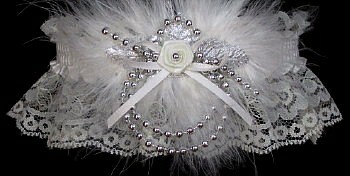 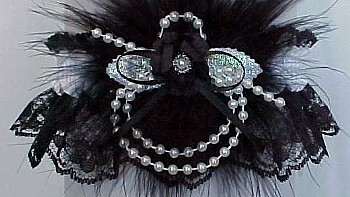 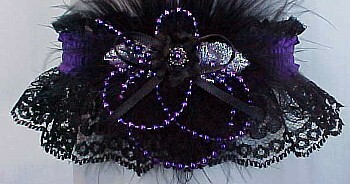 Deluxe Garter with Colored Pearls and Colored Satin Band on White Lace and Marabou Feathers. 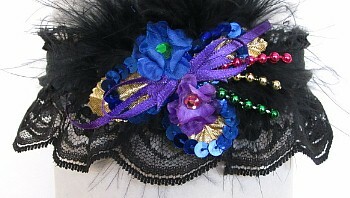 175 colors for Prom or your Wedding colors.